The good news is that grapevines are mostly unaffected by excess rain, and even outright flooding, as long as they are DORMANT. And the vines' dormancy period overlaps very nicely with the "rainy season" of our blessed Mediterranean climate. That said, the power of flowing water can wreak a lot of physical damage on vineyard fences, trellises, and vines. 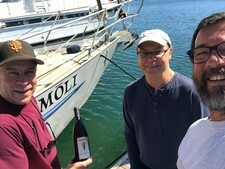 Our recent local flooding did indeed damage a number of low-lying vineyards in the Russian River appellation, but in Dry Creek Valley the damage was fairly minimal. In any event, rain and flooding this time of year has little influence on the subsequent vintage. After a number of droughty years, it is nice to have the soil moisture adequately recharged before 'budbreak', which will begin in earnest in the next several weeks. We're hoping for additional rainfall into late spring, which will help to maintain soil moisture through our long dry season (approximately June to late October!) --but NOT during 'bloom', which occurs around Memorial Day! Bloom is the first big milestone in the vintage year, and excessive/prolonged rain at that time can negatively affect the 'set' of the crop (the pollination of all the tiny grape flowers-which will become tiny grapes). Purchase any of the following carefully curated wines in any quantity and receive 25% off. Wine Club members will receive their standard discount PLUS an additional 25% resulting in 40 to 50% off savings depending on Club level. AND...Purchase at least a case of wine (12 bottles) of any of our current release wines, mix and match o.k., going to a single address and get 5 cent ($.05) shipping*! ORDER NOW. These great deals expire at midnight on Monday, November 26, 2018. 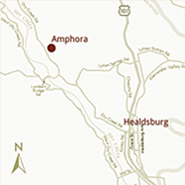 Order via our website, email us at jim@amphorawines.com or call us at 707.431.7767 from 11:00 to 4:30 (Pacific). * Ground shipping only. Additional shipping charges, and time constraints apply to AK, HI, KY and NH. Excludes states to which we cannot legally ship. Cheers from the crew at Amphora! We have selected two very special wines for you to share with your family and friends this Thanksgiving. Purchase these two wines in any quantity and receive 40% off list price. Our 2014 Chardonnay retails for $30. At 40% off that is only $18. 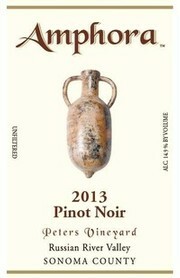 The Russian River Valley Pinot Noir retails for $36, now only $21.60. So, stock your cellar for Thanksgiving, and all the coming holidays NOW. This deal expires at 5 pm Amphora time (Pacific) on Sunday, November 11, 2018. 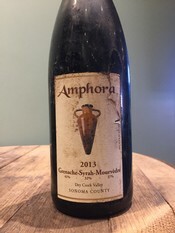 Order via our website at www.amphorawines.com, email us at jim@amphorawines.com or call us at 707.431.7767 from 11:00 to 4:30 Amphora time (Pacific). Additional shipping charges, and time constraints, apply to shipments to AK, HI, KY and NH. Excludes states to which we cannot legally ship. Happy Thanksgivng from our "family" to yours! Just what do I serve with that Easter ham or Passover brisket? This question is asked every year by those who want to make sure that their hard work in the kitchen is complemented by what's in your glass. With that in mind I have chosen wines to be paired with quintessential Easter and Passover dishes. Read on and hopefully this information will make your holiday wine pairing decisions (and maybe even what to serve, since I've included recipes) effortless this year. No matter what you decide to drink and eat this coming holiday season, have fun, drink responsibly, and enjoy those you are celebrating with! 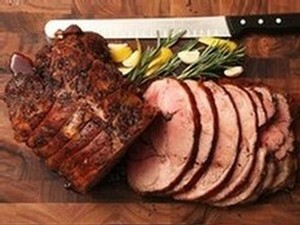 Research shows that the three most often served dishes for Easter are ham, lamb, and salmon. 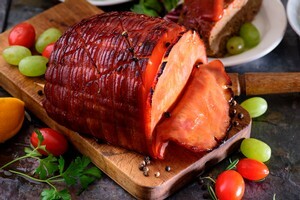 When it comes to ham, you can't beat a traditional ham with a brown sugar and mustard glaze. Try our 2013 Mourvedre whose earthiness is a perfect balance to the sweet and spice of the Dijon mustard, brown sugar and honey glaze. For those who choose to serve lamb, a slow-roasted boneless leg with garlic, rosemary and lemon pairs beautifully with Petite Sirah. The backbone and earthy notes of a Petite Sirah will complement perfectly with the herbs, citrus and lamb. Try our 2011 Petite Sirah and wow your guests. 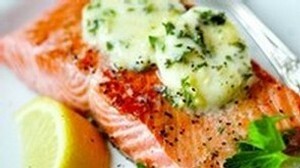 Salmon is the perfect choice for lunch or a lighter dinner option. Grilled salmon with herbs and citrus pairs beautifully with the old-world style, silky, red fruit notes you get with a Pinot Noir made from the Pommard clone. I suggest this grilled salmon with our 2013 Pinot Noir from Peters Vineyard. 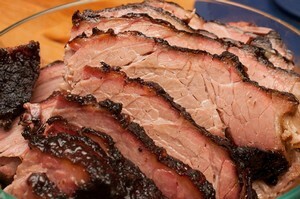 Brisket, for those who celebrate Passover, is a traditional choice. Zinfandel is a perfect match, especially when that brisket has a garlic-horseradish crust. 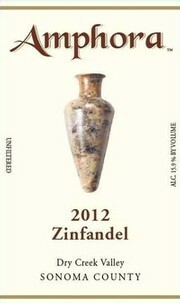 I suggest a Zinfandel with a balance of both fruit and spice, such as our 2012 Zinfandel from Dry Creek Valley. A balanced Zinfandel will play off the spiciness of both the garlic and horseradish creating another perfect pairing. It's not a car, a camel or a year's supply of dish detergent. Nope. We've got our hard hats on and are outfitting Rick's "studio" to becme a space that will allow our guests to experience a private tasting in an elegant, but rustic setting. This room will be used for "by appointment only" group and private tastings. The space will also be available for our wine club members to hold private parties, tastings and winemaker dinners. We are estimating that the room will hold up to sixteen guests for a seated tasting or gathering, and more for a non-seated event. Tastings, hosted by Rick, Amphora's owner/winemaker will be sure to give guests an educational and entertaining experience in an elegant setting. More details to come as we get closer to completion. We have selected four very special wines to include in our Cyber Monday special this year. The deal doesn't get any better than this! Purchase any of these four wines in any quantity and receive 25% off. Wine club members will receive their standard discount PLUS an additional 25% resulting in 40 to 50% off savings depending on Club level. Drumroll please....here are the four wines. This Chardonnay is an employee favorite. You can bet that it made an appearance on both Karen and Amy's Thanksgiving tables. Yes, it goes great with turkey, but during this holiday season we highly recommend pairing the 2014 Chardonnay with Dungeness Crab. Our 2014 Chardonnay retails for $30. Our 2017 San Francisco International Wine Competition best-of-class Pinot Noir (yes...we beat out wineries that ONLY do Pinot) is a real winner. You can't go wrong pairing our Peters Pinot (anytime of year) with a Smoked Turkey. Our 2013 Peters Pinot Noir retails for $55. This amazing Grenache-Syrah-Mourvedre blend is good with anything during any season! Try pairing our GSM with a traditional cassoulet! Your family and guests will give you 5-star reviews! Our 2014 GSM retails for $38. This Merlot will knock your socks off...we promise! At 100% Merlot, it is NOT your everyday Merlot. Grown right here in beautiful Dry Creek Valley, this Merlot served with a beautiful medium-rare Prime Rib Roast is a pairing fit for any occasion. Our 2013 Merlot retails for $32. So, order NOW. These great deals expire at midnight on Monday, November 27, 2017. 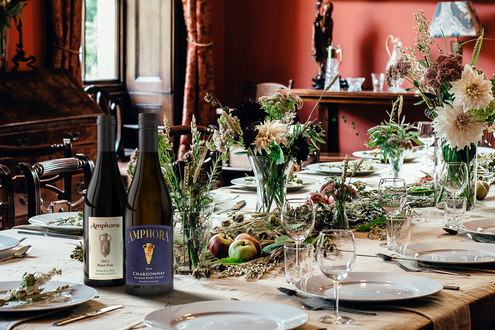 Order via our website, email us at jim@amphorawines.com or call us at 707.431.7767 from 11:00 to 4:30 seven days a week. * Ground shipping only. Excludes AK, HI, NH and states to which we cannot legally ship. 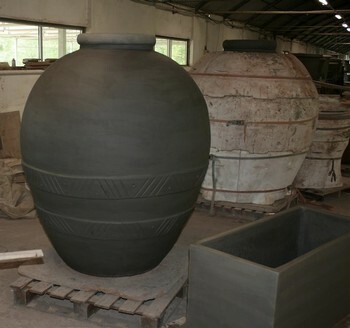 We have commissioned a new amphora and it is currently being crafted at the Antica Fornace in Montecchio, Tuscany. Here is the "rotunda"in the workshop, prior to firing. Our new terracotta vessel is slated to arrive in time for the 2017 harvest, and Rick already has plans to keep it full of fermenting grapes!